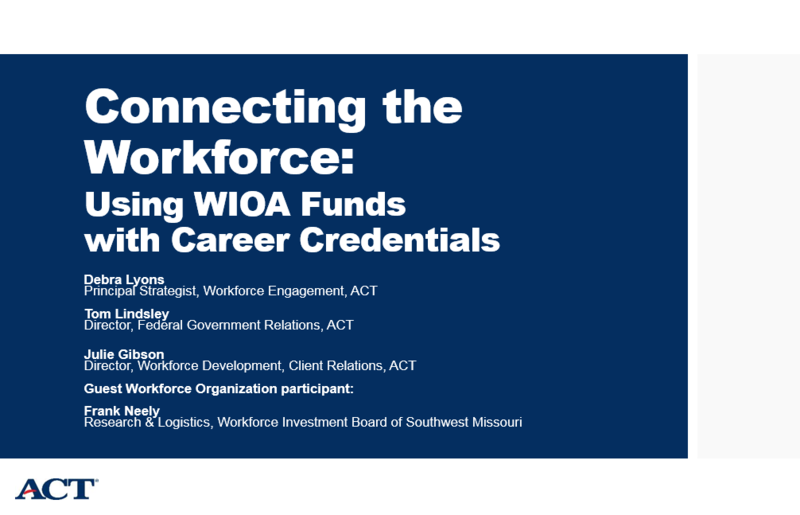 For those of us tasked with creating a stronger, more skilled workforce, the federal Workforce Innovation and Opportunity ACT (WIOA) presents a chance to build the bridge between job seekers and employers using career credentials and workforce solutions. While recent guidance from the US Department of Labor will not count foundational skills credentials (like the ACT® WorkKeys® National Career Readiness Certificate®) for the purposes of reporting on program performance, those credentials can be used to verify attainment of foundational skills in combination with other services for career pathways, apprenticeships, or additional credentials. However, there are opportunities to leverage ACT WorkKeys solutions to improve Employer Performance Metrics currently under evaluation. In other words, where there’s a will to build learners’ skills, there’s a way to fund career credentialing services for WIOA participants. 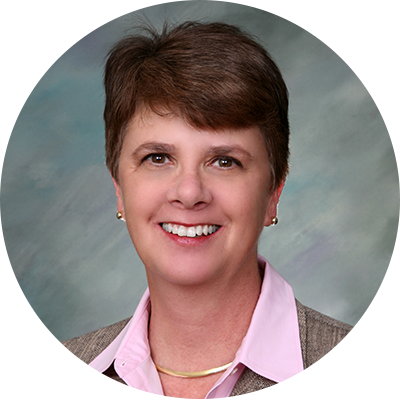 Debra Lyons is Principal Strategist of Workforce Engagement at ACT. In this role, she has used her experience and entrepreneurial skills to successfully launch a new, national external engagement effort focused on workforce advancement. She also serves as Director of the National Workforce Solutions Advisory Board, an organization of senior business leaders who provide guidance to ACT on navigating the national workforce development landscape. Prior to coming to ACT, she served as the Executive Director for the Governor's Office of Workforce Development for Georgia Gov. Sonny Perdue, advising the governor on workforce development policy and implementing initiatives to strengthen the state's workforce development enterprise. Debra holds a bachelor's degree in chemical engineering from Lehigh University and a master's degree in mechanical engineering from the University of Maryland. Lyons is the mother of four grown children and one granddaughter. She resides in Macon, Georgia, with her husband, Dr. Anthony V. Lyons. Frank Neely works as a Research Analyst for the Southwest Missouri Workforce Investment Board, assisting workforce and economic development stakeholders with labor market information and other services. 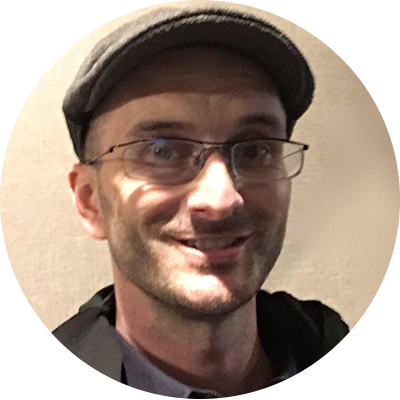 Frank spent four years in the Marine Corps from 1999–2003 and earned a BS in Political Science from Missouri Southern State University in 2006. In addition to research and logistics, he also assists businesses with job profiling services and the development and customization of short-term training options.